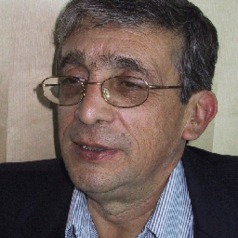 Rafael Barrio, Ph.D., joined the Institute of Physics at UNAM (México) in 1989 at the Department of Chemical Physics, and was appointed Adjunct Professor at LCE in 2002. He holds a Ph.D. (D. Phil) degree in Theoretical Physics from Oxford University , A MSc. In Theoretical Physics and A MSc. in Materials Science from U.N.A.M.